Your continued support for BFCA is greatly appreciated! This year we have planted over 300 tulips to beautify the entrances to Barclay Farm-a project we could not have done without your $20 annual dues. If you haven't already, we hope that you will consider donating this year. 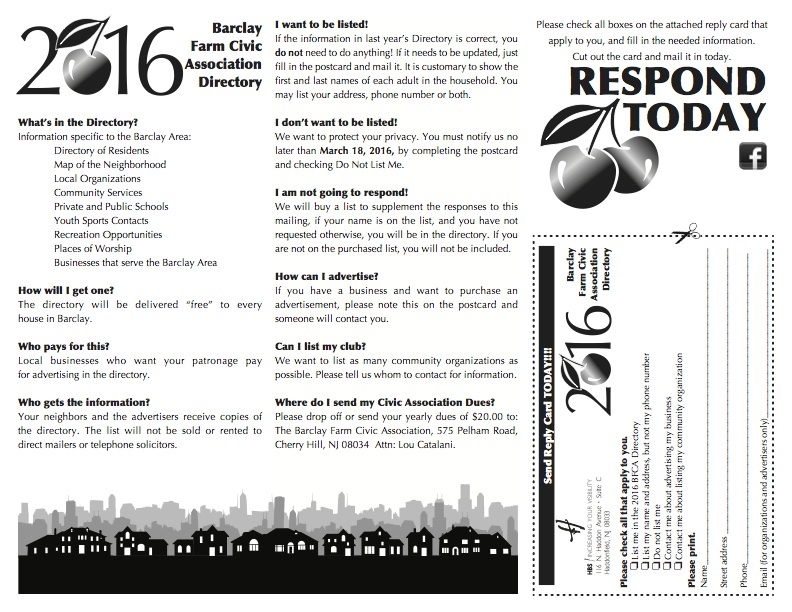 Also, please consider advertising and/or listing your business or organization in the directory. Contact Lou Catalani, at 856.264.3065.